For the very best that Tropical Inn has to offer, take a look at our three Superior Suites. 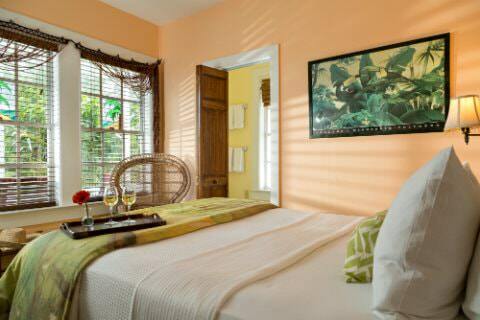 Our Superior Suite category is interchangeably called the Garden Cottage Suites. Spacious and beautiful, these are true Key West luxury accommodations. 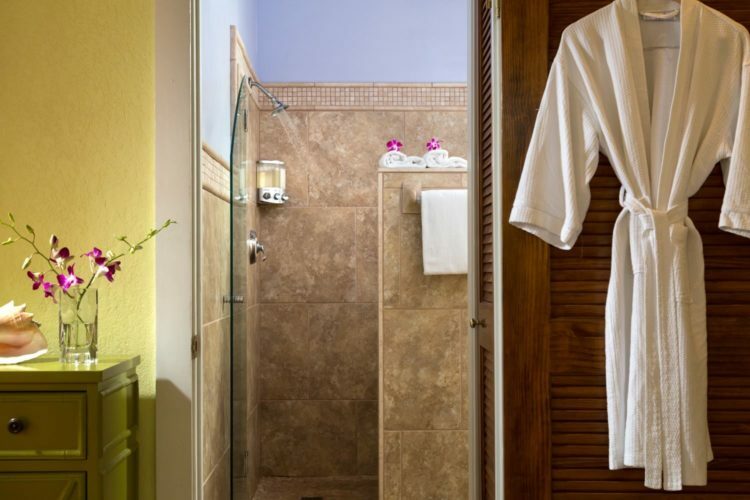 The suites feature striking architectural details, imaginative interior design, and intimate, romantic ambience. 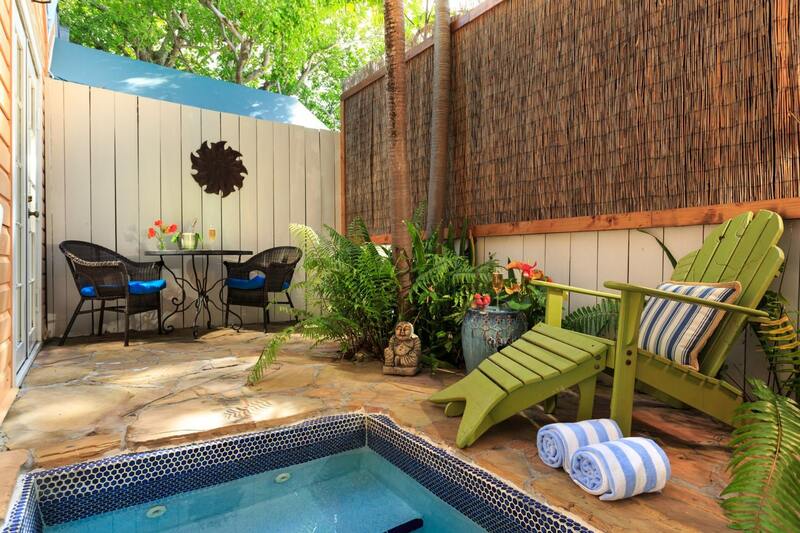 Each has its own private patio garden or porch with spa. With the added convenience of our location on Duval St, any of these suites would be an ideal choice for your romantic getaway to the Florida Keys. 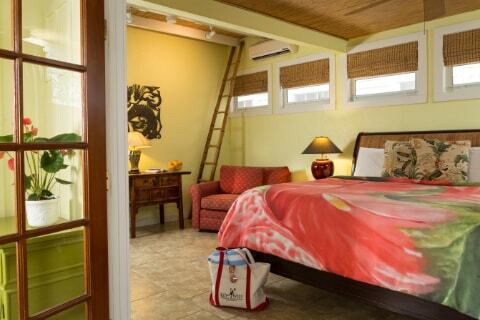 Literally “tucked away” between the Main House and Caribbean Cottage, the Tuckaway Cottage exudes the ambience of a luxurious cocoon. 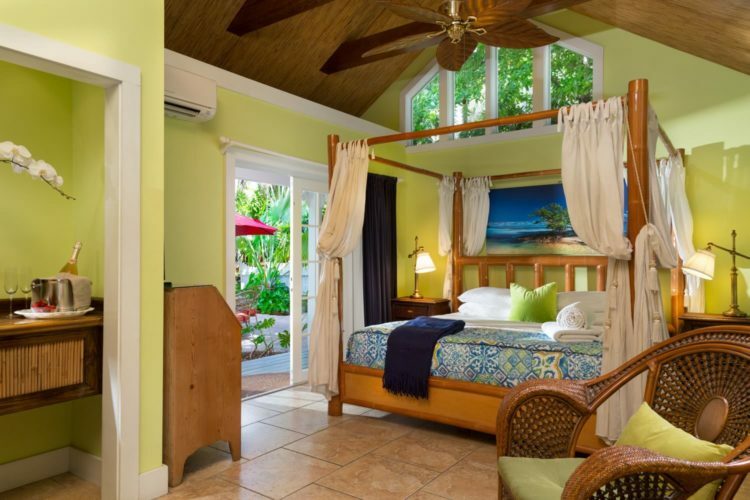 Along with our other Garden Cottage Suites, the Pineapple Hideaway and Gecko’s Garden, this suite holds strong appeal for guests who value space and privacy. 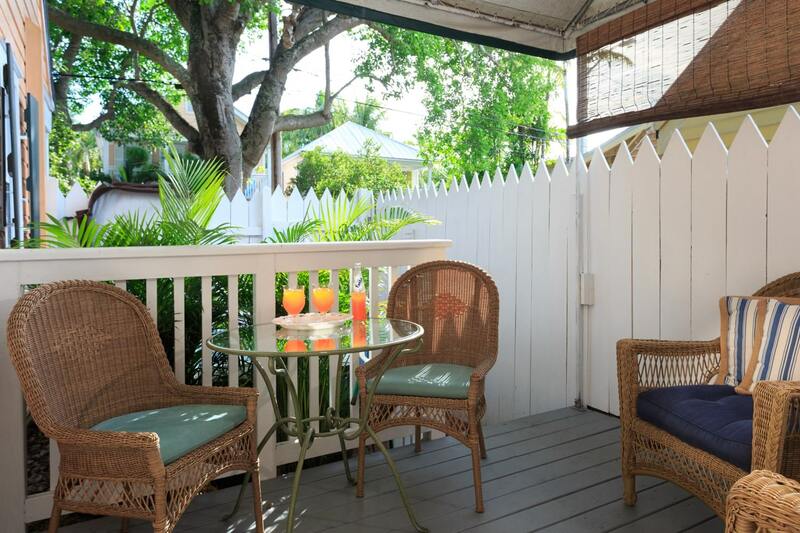 Distinctive island elegance — refreshingly contradictory in its simultaneous simplicity and sophistication — promises an authentic Key West lifestyle experience. 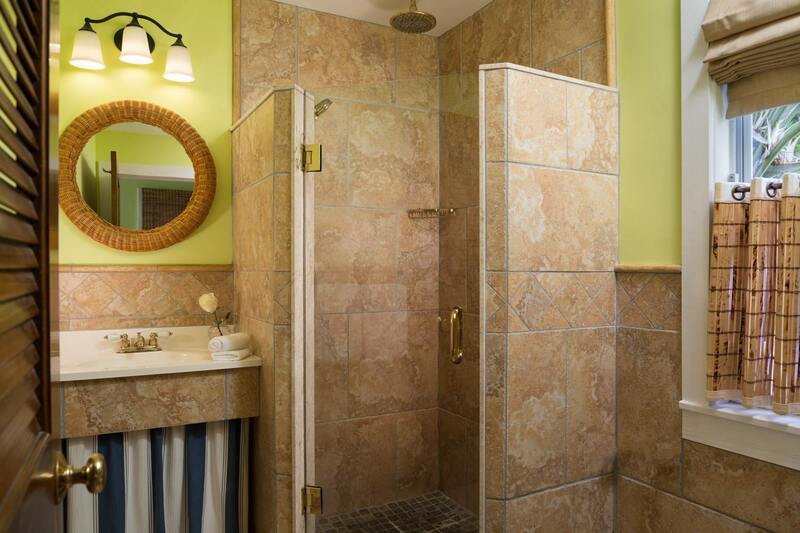 Cool stone tile floors and a ceiling of bamboo reeds provide the palette. An impressive king-size sleigh bed, exotic Indonesian furnishings, and unique accessories create an intriguing ambience. French doors open onto a private, reed-screened porch with a whirlpool for two, inviting romantic moments and setting the stage for a memorable honeymoon, anniversary, or “just because” celebration. 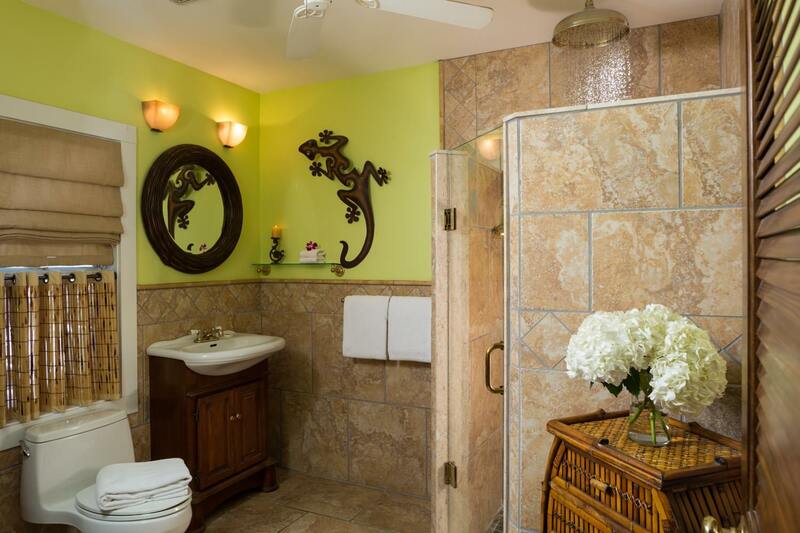 Your introduction to the Gecko’s Garden, our most luxurious Garden Cottage King Suite, is filled with excited anticipation. You’ve seen the pictures and imagined yourself there as you’ve planned your escape. Leaving the bustle of Duval Street behind as the heavy front doors of Tropical Inn close, you travel the length of the hushed Main House corridor, each step distancing you farther from the real world. Emerging upon the back porch to a vista of riotous greenery with a sparkling waterfall pool, you feel completely transported. 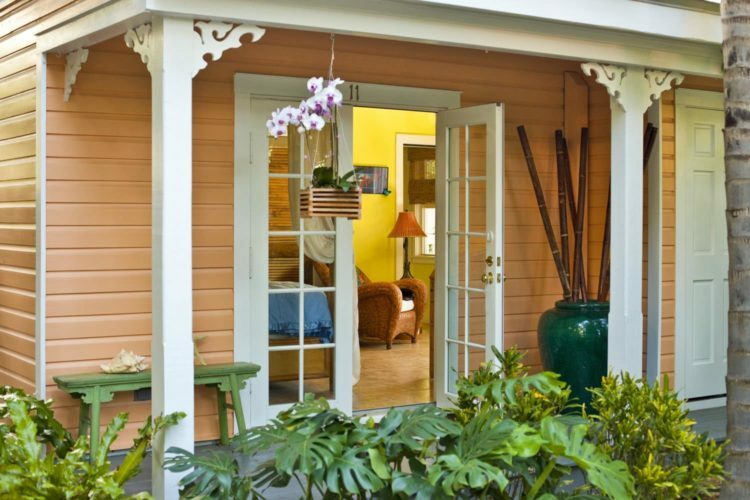 Winding your way along the garden path, you glimpse your cottage, the color of orange sherbet, and sense that you are approaching a very special place. Your first step through the Gecko Garden’s French doors validates the feeling. 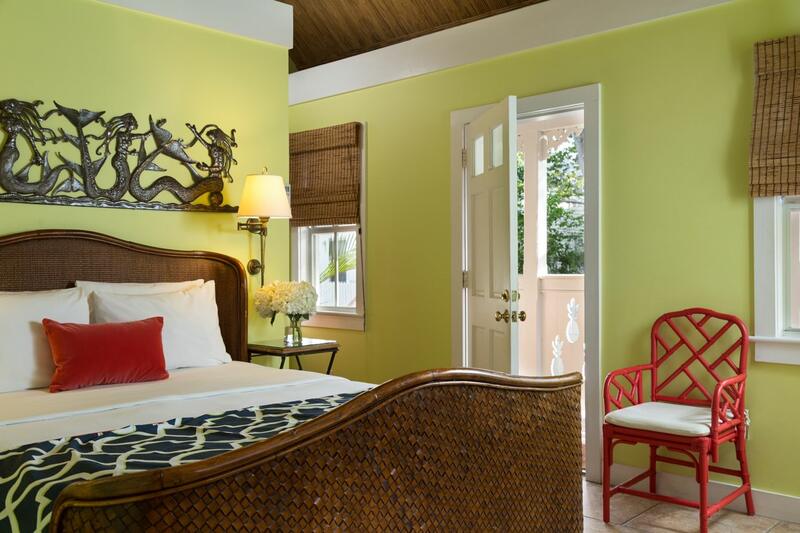 A reed ceiling vaults to frame the treetop view above a sumptuous, king-size Empress Bamboo canopy bed, adorned with impossibly soft linens. Quality furnishings and appointments confirm that you have made the right choice. 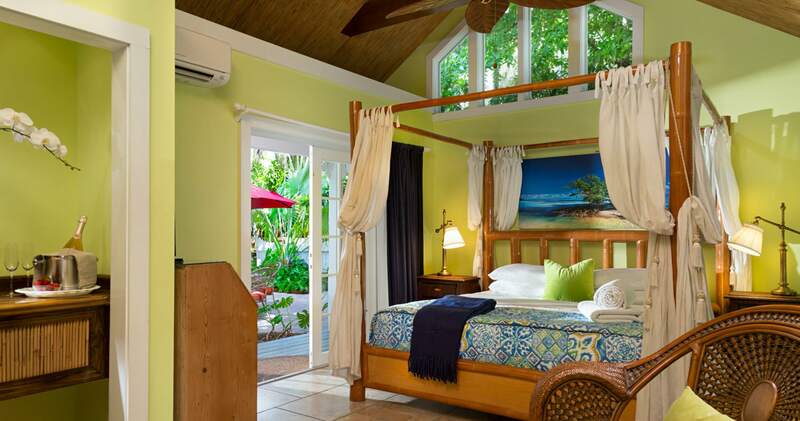 A second set of French doors opens to the secret garden of your oh-so-private hideaway, where moonlit moments of blissful seclusion await, your heated and spa-jetted plunge pool reflecting a million stars in the tropical sky overhead. 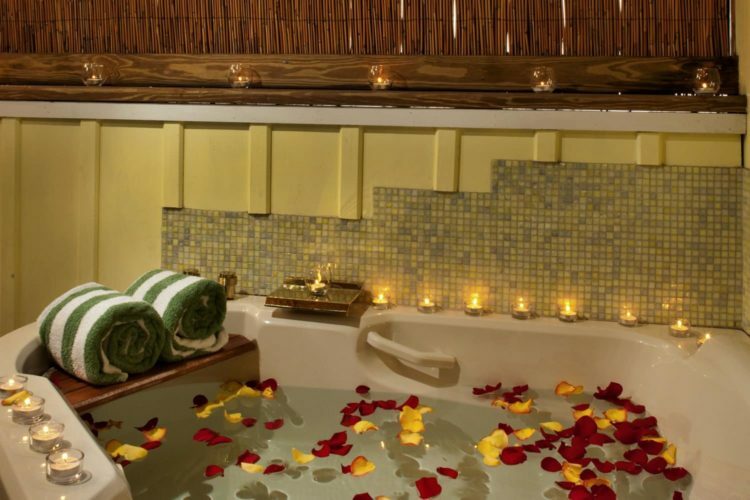 Luxuriously indulgent intimacy. Unparalleled ambience. The Gecko’s Garden. How romantic can it get? 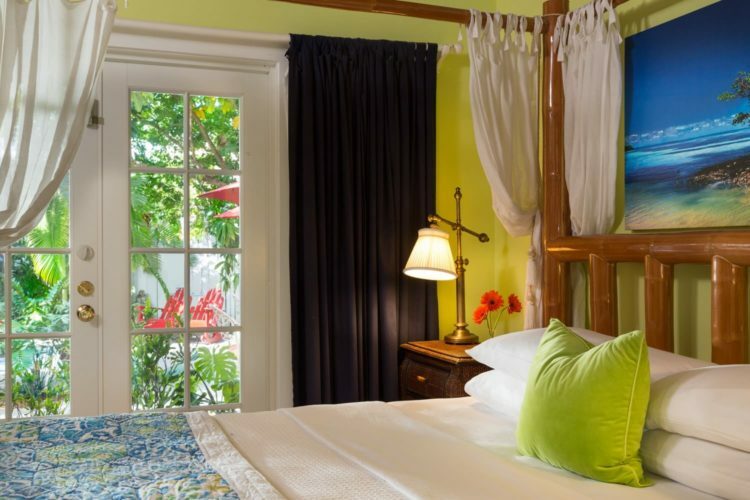 Set on a quiet, residential lane outside the garden gates, Tropical Inn’s Pineapple Hideaway feels like a secluded island oasis. 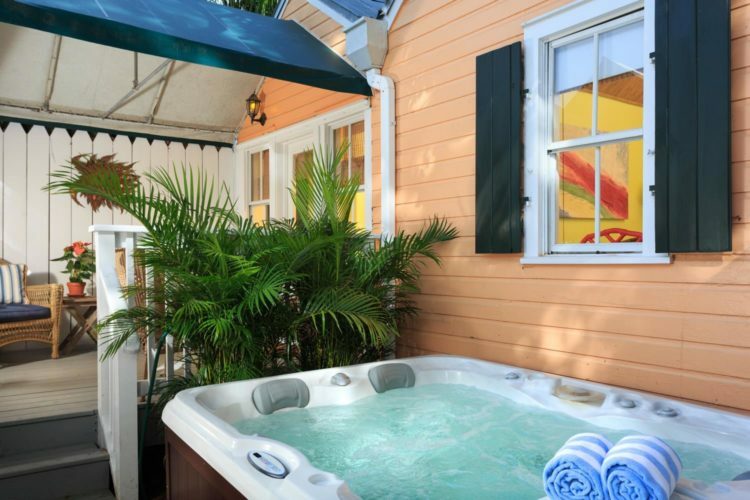 This Garden Cottage Queen Suite is a classic Florida accommodation equipped with every convenience, allowing for an absolute disconnect from the real world in carefree, barefoot comfort. 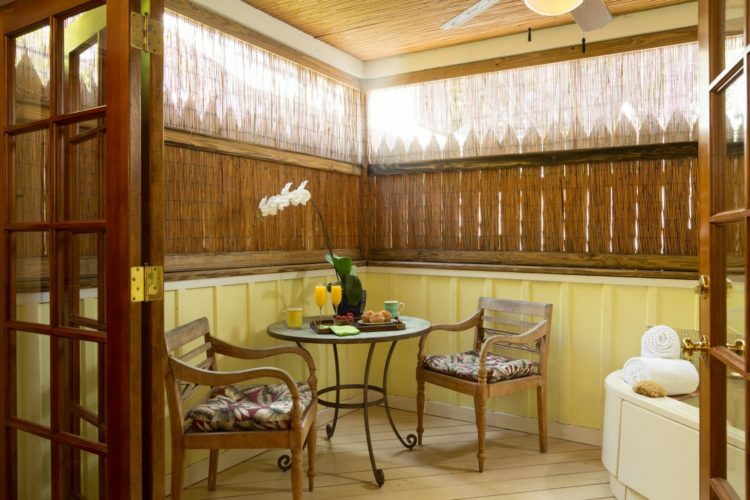 The Tropical Inn’s waterfall pool is just steps away through the garden gate. Your inviting “outdoor living room” is a private fenced-in patio garden featuring a covered porch and tree-sheltered hydro-massage spa. 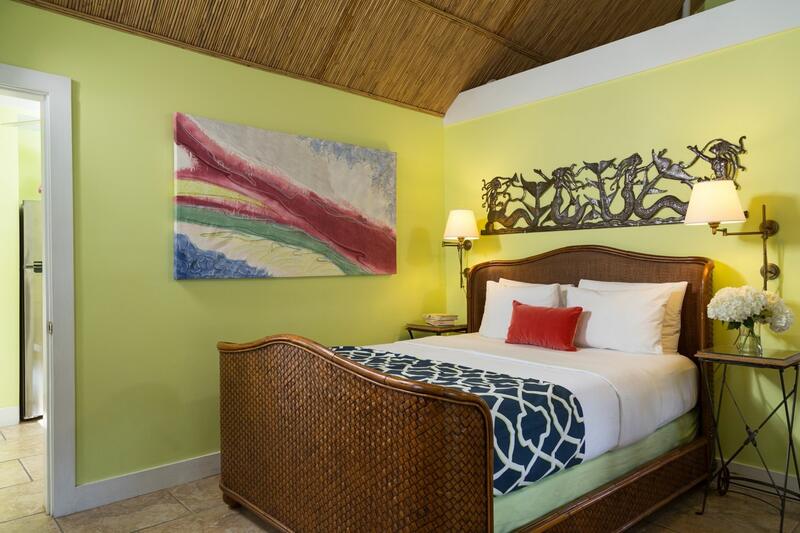 At the day’s end, an exotic, woven palm leaf bed dressed in sumptuous linens will transport you to tropical dreams beneath a soaring ceiling of bamboo reeds.